Jacquard Cord Lanyard. 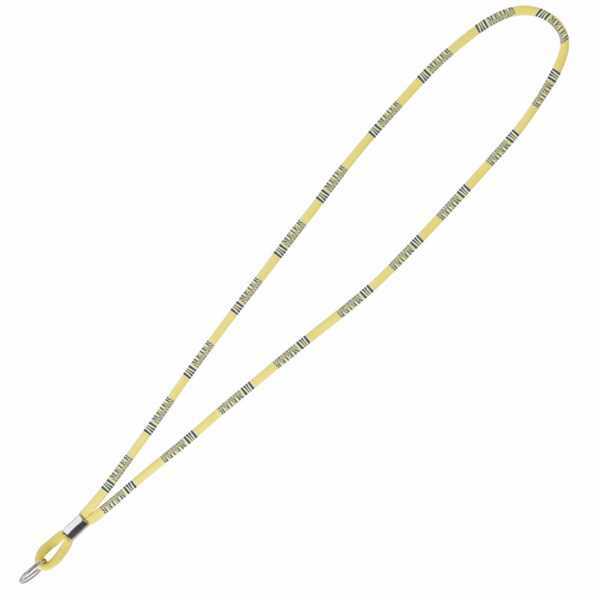 Lanyards will ship with split ring and metal crimp accessory unless otherwise specified. These Lanyards are made from polyester threads. Size: 19 5/8 " x 3/16 "